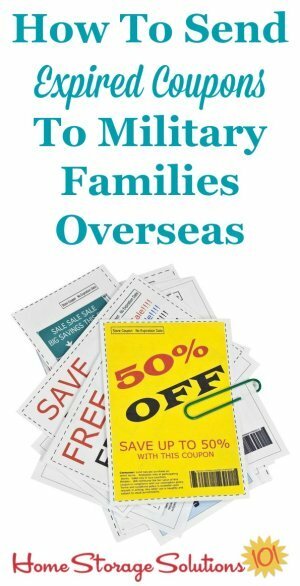 Have you ever heard that you can send expired coupons to military families overseas, for use in their commissaries? Well you can, and here's how to do it. If you use a few coupons or a lot you know that sinking feeling you get when you realize you went to all the trouble to clip it, but it expired before you used it. It's aggravating, and now that piece of paper is trash -- or at least recycling, right? Not so fast! Overseas military commissaries will accept something that is basically worthless because it is expired for up to six months after the expiration date. 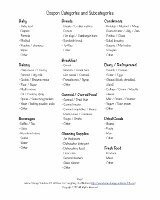 Because the coupons are accepted at commissaries overseas they accept only manufacturer coupons. The do not accept store coupons, restaurant coupons, nor do they accept Internet coupons that you printed yourself. 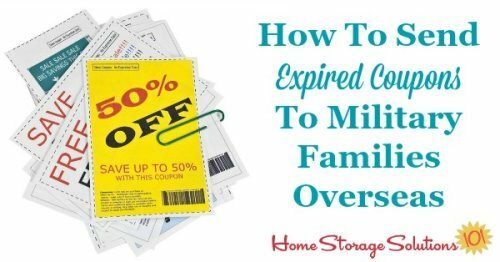 While there is a six month grace period given for overseas families to use these coupons, from a practical perspective that isn't really that long. Think about it -- you've got to gather and mail them, the commissaries have to receive them, and then the families need time to use them. You don't use your coupons typically in the first shopping period after you receive them (or otherwise they wouldn't be expired) and neither do other families. 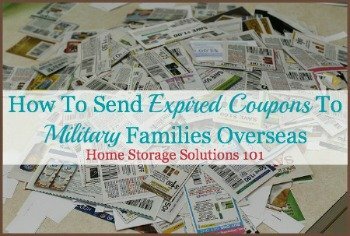 So, if you want to do this it is best to send expired coupons for military family use in monthly, or at least every two months, in batches to make sure enough time is given for them to be used. Just like when you're donating anything else, the goal is to help, not hinder. Sending a big pile of papers to a commissary will not be very helpful. They don't have a lot of manpower to sort through these coupons to distribute them properly, and most likely they'll just end up being recycled. Coupons must be individually clipped. They must be sorted into categories: (1) Food (which is human food, not pet food); (2) Non-food; (3) Baby; and (4) Pet. After sorting package them in sandwich or quart sized plastic bags (don't paperclip or rubberband them, or anything like that). Label the outside of the bag with the following information: (1) Whether expired or unexpired coupons; (2) category; (3) approximate value of the coupons contained within the bag. 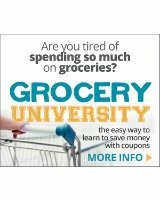 Some people recommend sending the coupons directly to various overseas commissaries, but this program has become so popular that many of these commissaries, which don't have lots of extra manpower, have gotten rather overwhelmed with all the coupons they've received. Honestly, these days sending them directly to the commissaries is less likely for them to actually get used like you'd like. A charity which helps as a middle-man for processing these coupons that I've come across is called "Support Our Troops." They run a program called Troopons, which has a Facebook page where people often post pictures of the bags of coupons they're donating. If you have specific questions about the packaging and sorting required to get your own donation ready this Facebook page is a great resource to look at. At least from my research it appears that this charity has the best ability, since they deal with so many of these coupons daily, to know exactly which commissaries need them the most, and to get them into the hands of military families who can really benefit from your generosity. You learn something new every day, and with the popularity of this article I've been told by readers of additional places you can send these coupons, so I thought I'd pass along that information. Mariah says: "I send through ECOM, stands for expired coupons for overseas military. They have a Facebook page, too. Great thing to do! I found a link to their Facebook page, if you want to check it out. Update: It's always nice to hear that the effort we go to is appreciated. When I posted the instructions for how to send these expired coupons several readers, who are stationed overseas, or used to be in the past, wrote in comments to say how much they appreciated it when people did this. Monica said: Being stationed oversea several times, we always appreciated the coupons. We also have a family of teenage boys so food was a big expense. Thank you! Heather said: When we lived in Germany my family/friends sent them all the time. Any ones I did not need, such as diapers, were deposited into the communal coupon box at the Commissary. Shelley said: I recently started using these coupons at our base. They are very helpful and much appreciated by us and other military families! I usually pick up a large box of coupons from an office on base, take them home to sort through, and then return the ones I don't use so someone else can do the same thing. 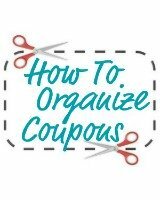 I've created some additional resources and articles on the site about couponing, which you may also find useful.